Tremendously excited about this month’s line-up. Some of my favorite ever people on the show. 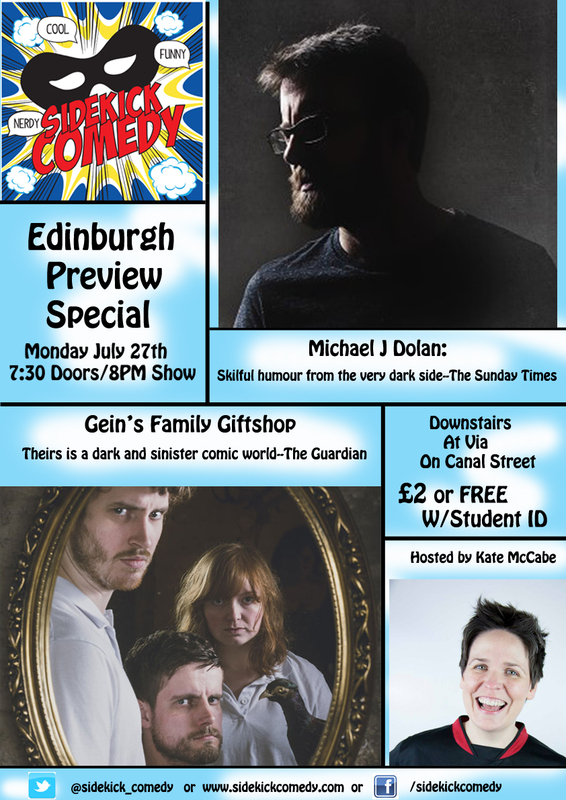 Both Michael J. Dolan and Gein’s Family Giftshop will be previewing their Edinburgh shows. At £2 in, it’s an absolute embarrassment of laughter to be had. If you like your comedy darkly delicious, this is the ‘summer fun’ show for you. This entry was tagged Alternative Comedy, Edinburgh Previews, Gein's Family Gift Shop, Kate McCabe, Manchester, Michael J. Dolan. Bookmark the permalink.